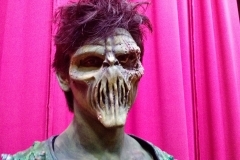 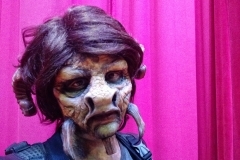 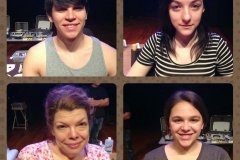 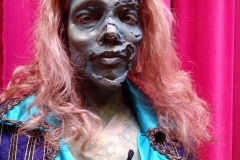 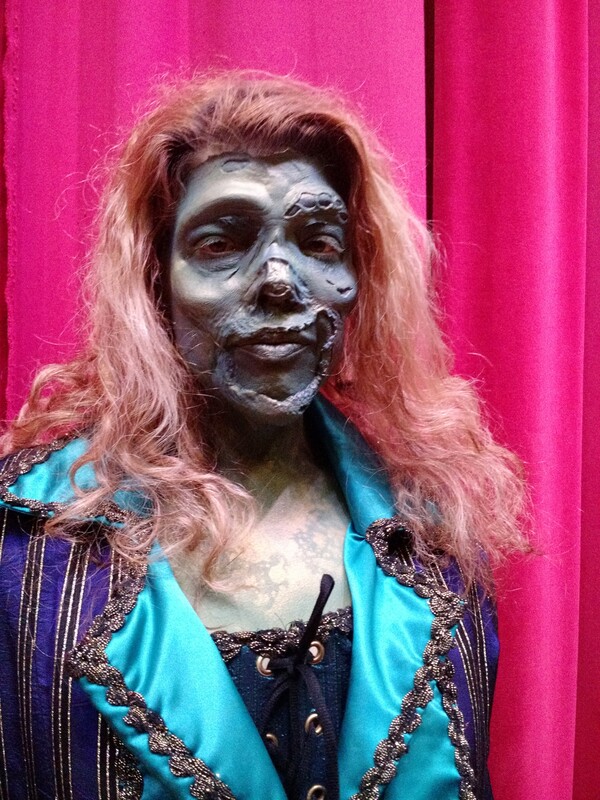 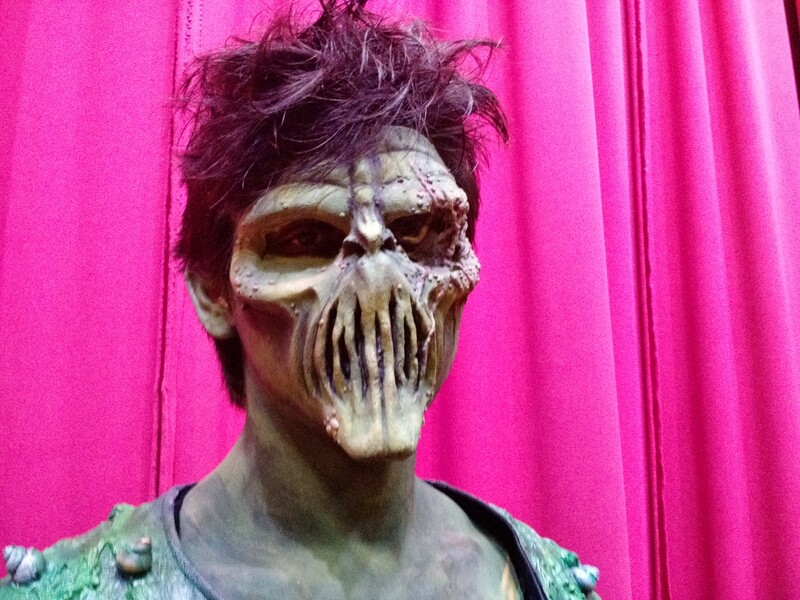 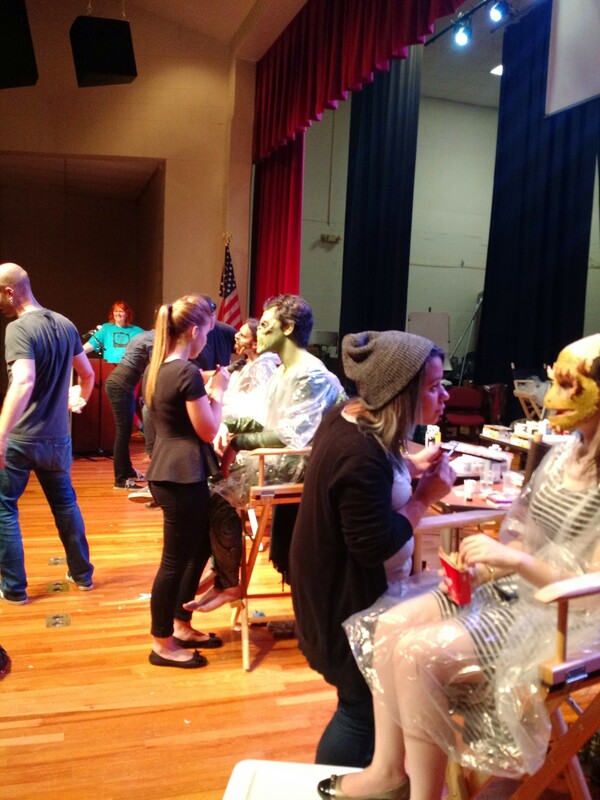 In April, we invited members of the Nashville community to come to our studio, learn to create their own special effects makeup and then compete in a Face Off/reality show style competition. 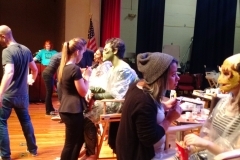 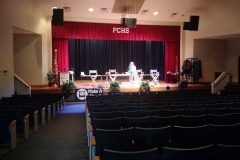 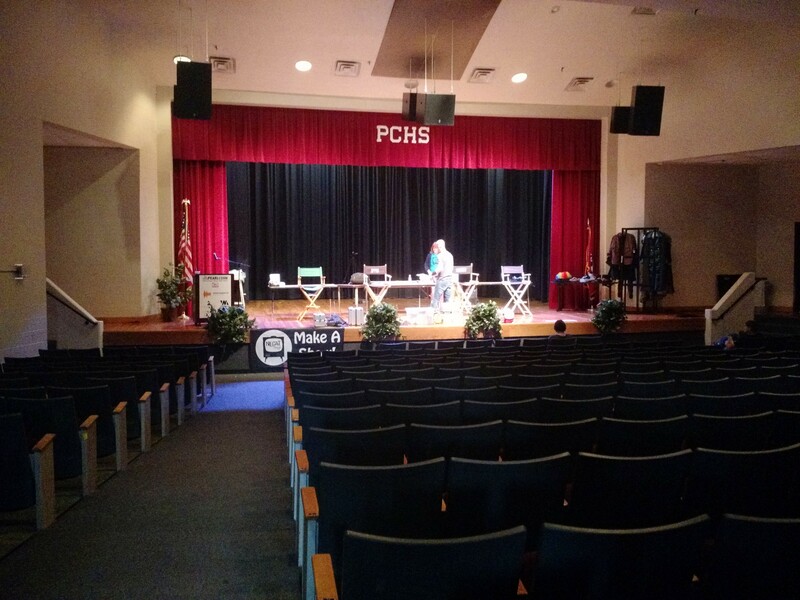 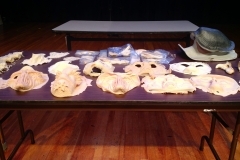 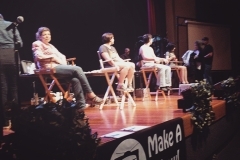 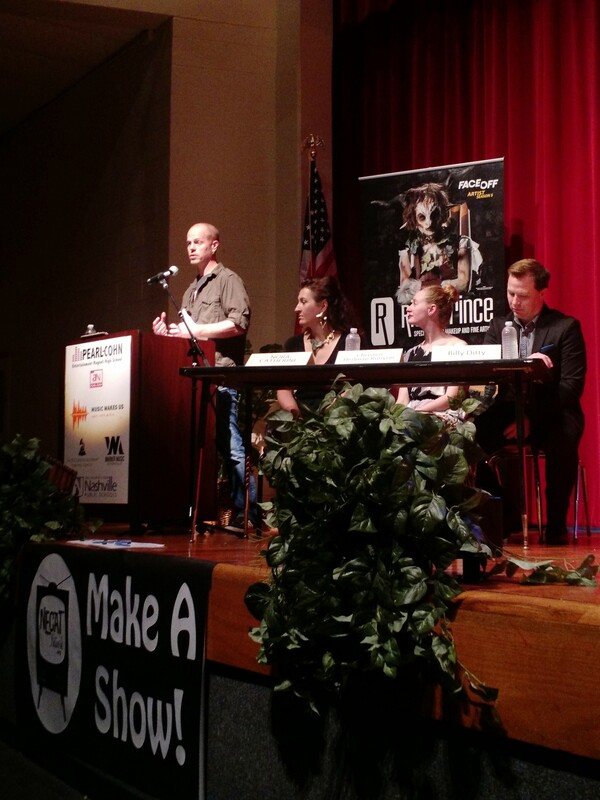 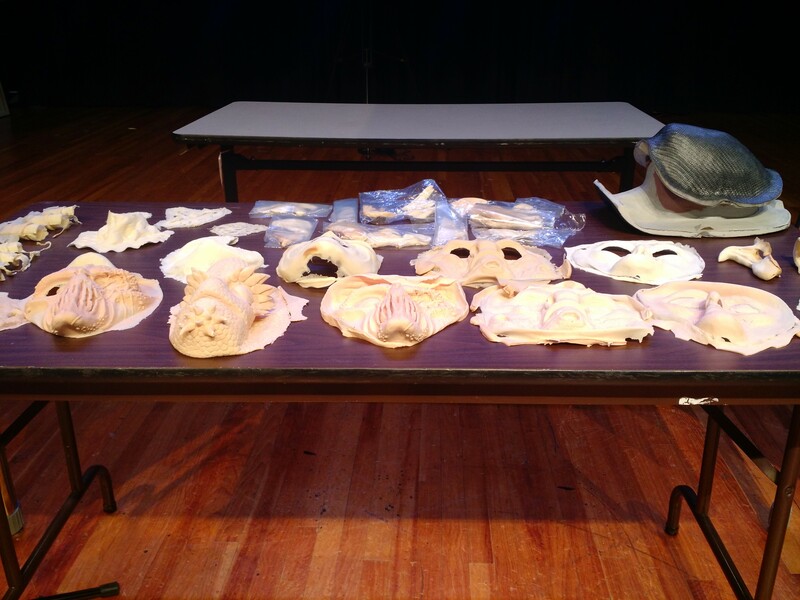 In front of a live audience at Pearl Cohn High School, 4 incredibly talented students spent 3 hours, shaping facial prosthetics, painting, airbrushing, costuming, and most importantly – creating a completed character to present to the judges. 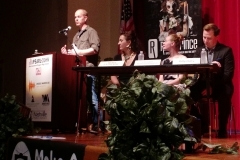 We had some pretty cool people on our judges panel: Billy Ditty, highly-respected professional costumer, hair and makeup deisgner; Christen Heliman Runyon accomplished model, actor, singer, dancer; and Nora Catherine, designer of unique one of a kind jewelry pieces. 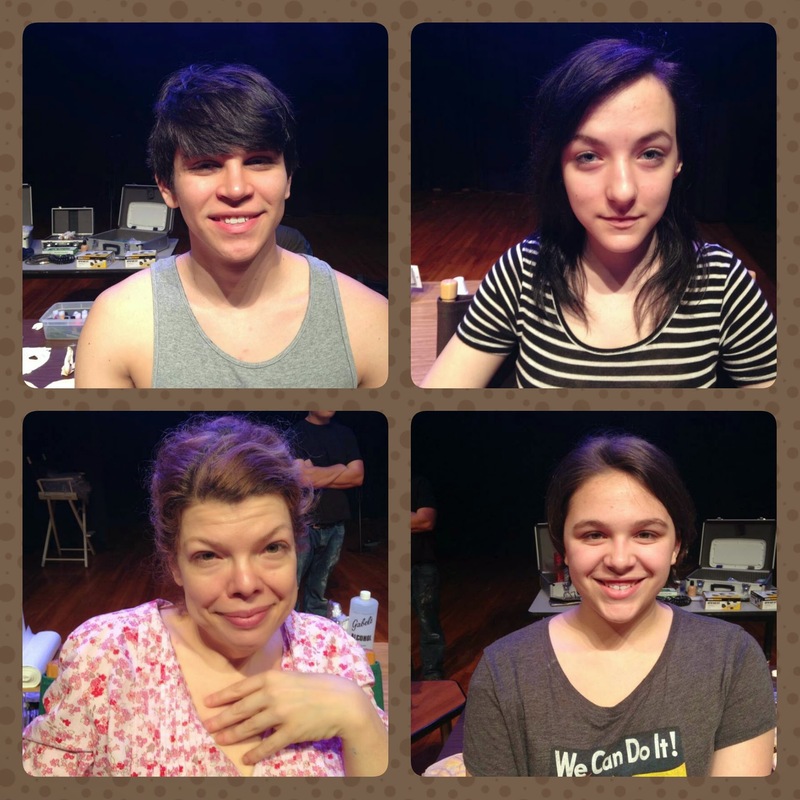 Check out the amazing character created by our participants! 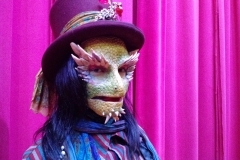 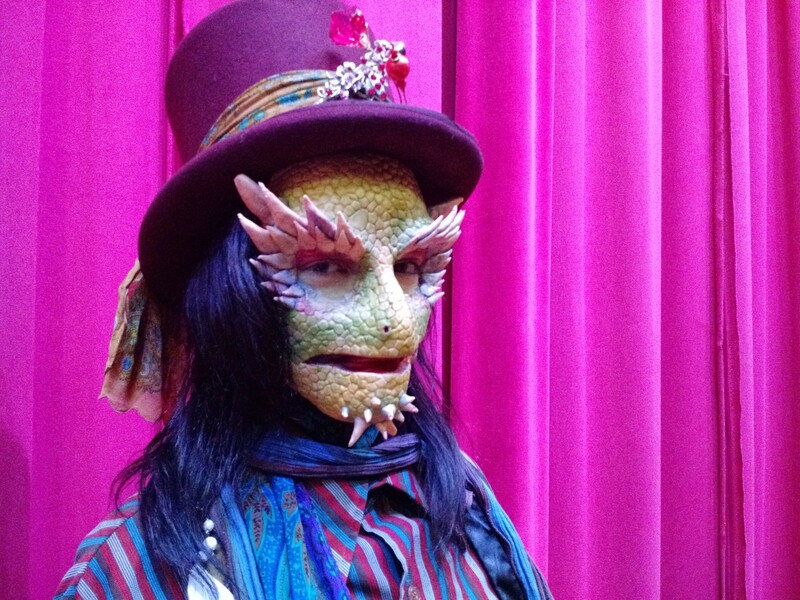 Our third runner up was Shay Puffett with her Steampunk Lizard! 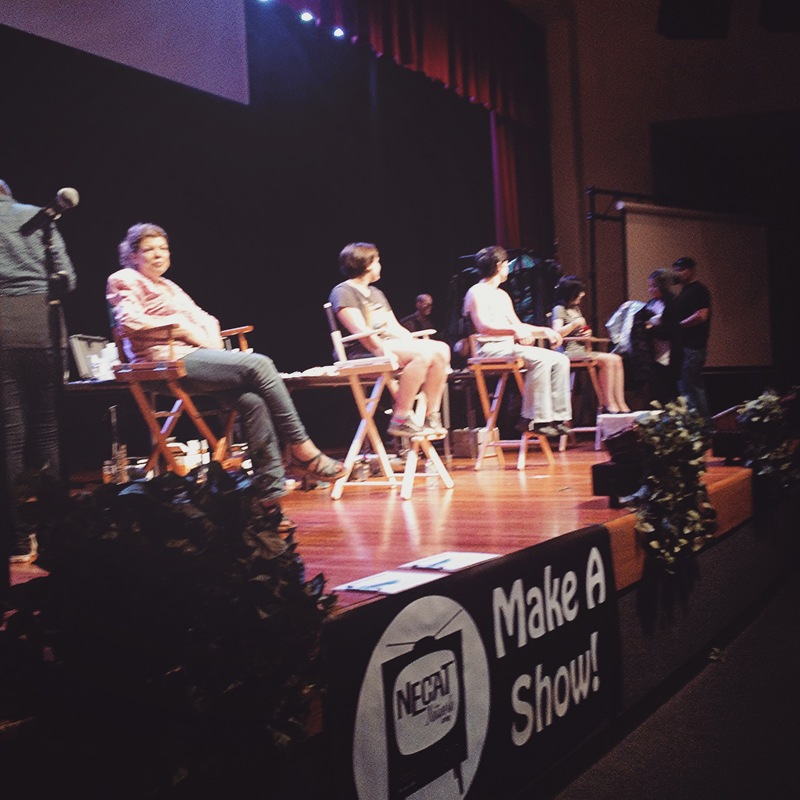 Our second runner up was Bridget Aita with her Golden Money Tree! 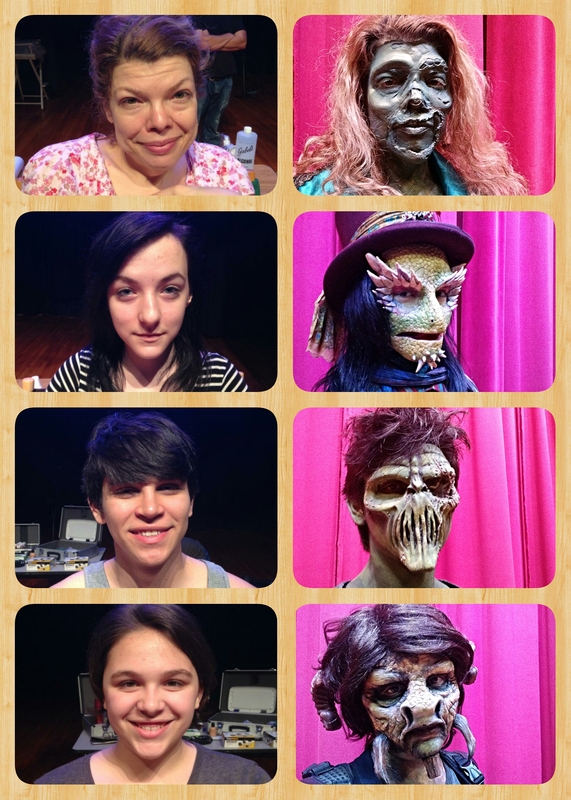 Our first runner up was Bailey Evans with her Pirate turned Sea Creature! 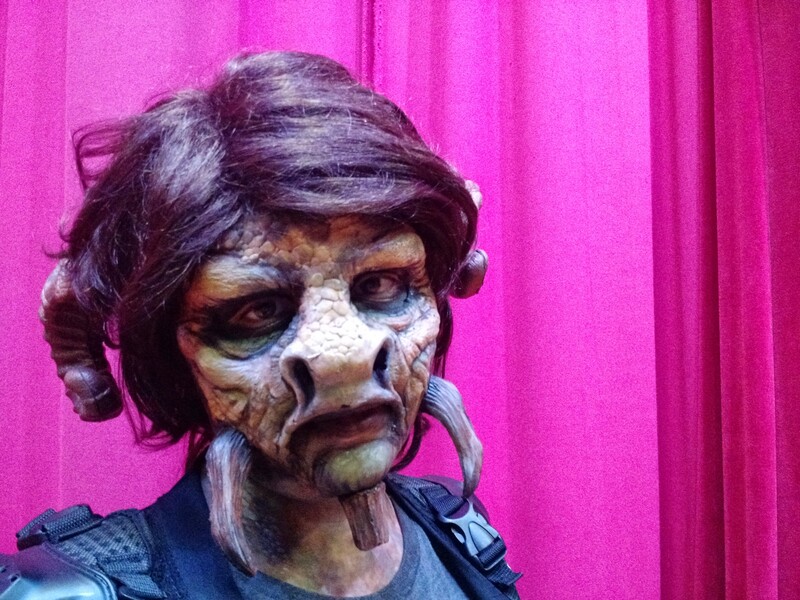 Our grand prize winner was Brain Somerville with his Bounty Hunter who lost her luggage!! 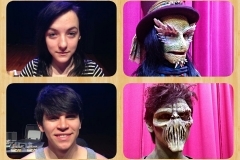 We cannot wait for our next Face Off style competition to see what our next batch of students will create!